Pangot is a perfectly charming hill town around 13km from the very popular hill station of Nainital in Uttarakhand. Placed in the hilly Kumaon region, it is one of the best places for a quick getaway. Pangot is surrounded by thick forests, quiet cascading streams and is great to go on a nature trails. More than 580 species of birds that inhabit these woods attract bird enthusiasts from all over the world. If you are interested in trekking, the trek route from Pangot to Naina Peak is one of the most amazing ones. 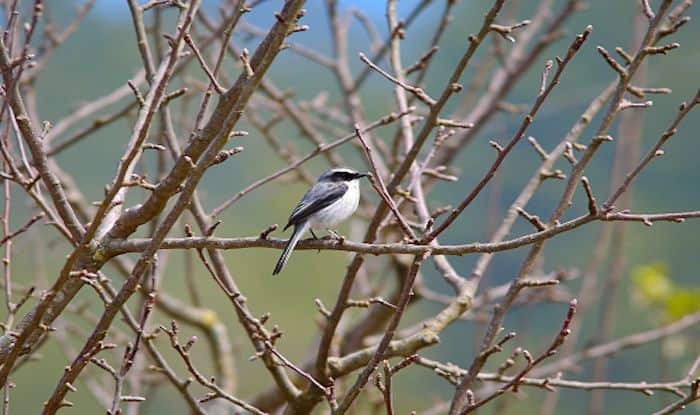 The entire drive to reach Pangot is through the forested area of Cheena Peak Range, Snow View Point and Kilbury, the main habitats for excellent bird-watching. Among the avifauna species you may spot lammergeyer, blue-winged minla, slaty-black forktail, khalij pheasant and the Himalayan griffon. Between November and February, this place is covered with a white sheet of snow. While from March to April the place is a special treat as the rhododendron is in full bloom rendering entire hill sides crimson in colour. The forests of Pangot as well as surrounding areas are dominated by thick oak and pine tree that lend a certain charm to this hill station. Another interesting trekking trail starts from Pangot and leads to Corbett National Park.It takes you through some the most lush green forests over the ridge and down the valley. Camping is another activity that is worth trying at Pangot. Camping under a starry night with your friends in front of a campfire is a really good way to unwind and relax in the lap of nature. It can’t be that you won’t spot any wildlife in the hills; be prepared to spot gorgeous mammals such as the yellow-throated Himalayan marten, sambhar, Himalayan goral, barking deer, leopard, civets, yellow-bellied Himalayan weasel, leopard cat, wild boar and red fox among many others. For an immersive experience you could also head to the famous Jim Corbett National Park about 80 kilo-meters from Pangot.